Active Volcanoes of the World – December 26 2012. | Chaos Sweeps Away the World We Know! The Disaster, current events & Catastrophe Blog. Forecasts for 2014 to 2022. Read tomorrows news today! Plus current economic, commodities, stock indices and financial news. Active Volcanoes of the World – December 26 2012. 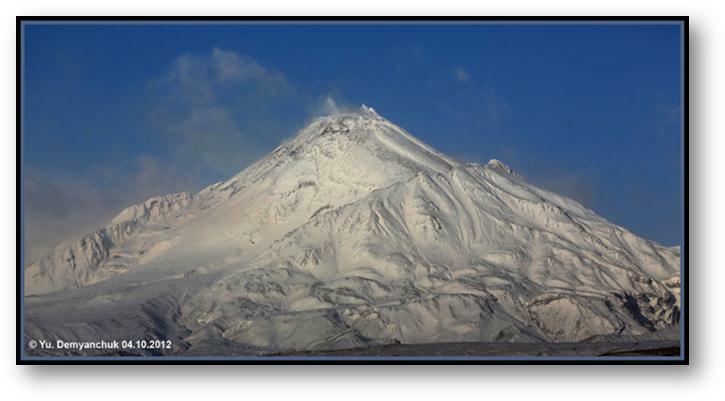 ‘1) CHIRPOI – Kuril Islands, Russia:SVERT reported that a thermal anomaly was detected over Snow, a volcano of Chirpoi, during 11 and 13-15 December. A steam-and-gas plume was observed on 15 December. Cloud cover prevented observations of the volcano on other days during 10-17 December. ‘2) KARANGETANG [API SIAU] – Indonesia: Based on analyses of satellite imagery and wind data, the Darwin VAAC reported that on 16 December an ash plume from Karangetang rose to an altitude of 3 km (10,000 ft) and drifted 110 km (68 miles) SW.
‘3) KILAUEA – Hawaii, United States: During 12-18 December HVO reported that on most days the circulating lava lake periodically rose and fell in the deep pit within Kilauea’s Halema’uma’u Crater. Occasional measurements indicated that the gas plume from the vent continued to deposit variable amounts of ash, spatter, and Pele’s hair onto nearby areas. ‘4) KLIUCHEVSKOI – Central Kamchatka Peninsula, Russia: KVERT reported that during 7-14 December video footage and satellite imagery showed Strombolian explosions at Kliuchevskoi, along with crater incandescence and gas-and-steam emissions. 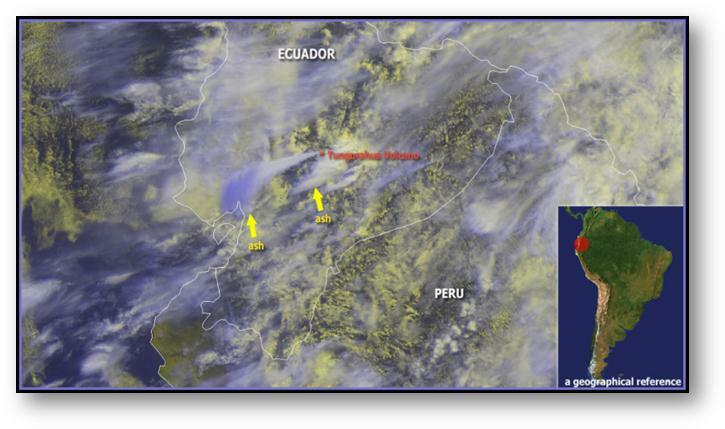 A thermal anomaly was detected in satellite images during 7-8, 10, and 12-13 December; cloud cover obscured views on the other days. The Aviation Color Code remained at Orange. Pictured above, a clear day on Oct. 4, 2012 of Kliuchevskoi Volcano – which is currently obscured by clouds. ‘5) LOKON-EMPUNG – Sulawesi: Based on ground reports from CVGHM, the Darwin VAAC reported that ash plumes rose from Lokon-Empung on 17 December. ‘6) TOLBACHIK – Central Kamchatka, Russia: KVERT reported that the S fissure along the W side of Tolbachinsky Dol, a lava plateau on the SW side of Tolbachik, continued to produce very fluid lava flows that traveled 17-20 km during 7-17 December. Strong seismicity was detected. Ash plumes rose less than 1 km and drifted in multiple directions, and at least two cones grew above the fissure. A very large thermal anomaly on the N part of Tolbachinsky Dol was visible in satellite imagery. The Aviation Color Code remained at Orange. ‘7) TUNGURAHUA – Ecuador: IG reported that on 1 December there was 47 mm of rainfall on the upper E and NE flanks of Tungurahua, generating lahars that descended the Vazcún drainage on the N flank. Seismic stations began recording signals representing the lahars at 1556, and by 1605 contingency plans were activated to warn people downstream. People at the resort of El Salado had been evacuated by the time the lahars reached the area. The lahar was 6 m deep, carried blocks 1-3 m in diameter, and covered drinking water tanks in some areas. Pictured above, Tungurahua – Ecuador from space during an eruptions on May 28, 2010. Seismicity at Tungurahua reported by IG increased during 12-14 December. A large explosion at 1435 on 14 December produced a “cannon shot” sound and shook the ground. An ash-and-steam plume rose 6-7 km and drifted NW. Pyroclastic flows traveled down the SW flank. The Washington VAAC reported that an 11-km-wide detached ash plume was observed in satellite imagery drifting 17 km SE. On 15 December IG reported that an explosion was followed by an ash-and-gas plume that rose 2 km above the crater and drifted S and SE. Small amounts of ash fell in Runtún (6 km NNE). On 17 December satellite images showed ash plumes drifting 50-130 km NE, and a dense ash plume drifting over 200 km NE at an altitude of 7 km (23,000 ft). A thermal anomaly was also detected. IG noted that explosions continued to generate ash plumes, but with progressively decreasing ash content. Ash plumes drifted NNE and NE, causing ashfall in communities downwind. According to a news article, some of these communities were evacuated. ‘8) ULAWUN – New Britain: RVO reported that dense gray-brown ash plumes that began rising from Ulawun on 6 November ceased on 11 December. During 12-16 December variable amounts of white vapor plumes rose from the crater. ‘9) BAGANA – Bougainville: RVO reported that white vapor from Bagana was emitted during 1 November-12 December. Occasional weak incandescence from the crater was observed at night during 3-8, 10, 17-20, and 29-30 November. An eruption during 1200-1300 on 13 December was followed by light ashfall in Arawa (40 km SE) and heavier ashfall in Manetai (11 km E). A small amount of ashfall was reported in Arawa the next day; the volcano was mostly quiet during 14-15 December. Bagana volcano, occupying a remote portion of central Bougainville Island, is one of Melanesia’s youngest and most active volcanoes. Bagana is a massive symmetrical lava cone largely constructed by an accumulation of viscous andesitic lava flows. The entire lava cone could have been constructed in about 300 years at its present rate of lava production. Eruptive activity at Bagana is characterized by non-explosive effusion of viscous lava that maintains a small lava dome in the summit crater, although explosive activity occasionally producing pyroclastic flows also occurs. Lava flows form dramatic, freshly preserved tongue-shaped lobes up to 50-m-thick with prominent levees that descend the volcano’s flanks on all sides. ’10) BATU TARA – Komba Island, Indonesia: Based on analyses of satellite imagery and wind data, the Darwin Volcanic Ash Advisory Centre (VAAC) reported that on 14 December ash plumes from Batu Tara rose to an altitude of 2.4 km (8,000 ft) and drifted 75 km NW. ’11) FUEGO – Guatemala: INSIVUMEH reported that during 12-14 December explosions from Fuego produced ash plumes that rose about 140-190 m and drifted SW. Incandescent lava flows traveled 150-200 m down the flanks. During 15-16 December lava flows traveled 200 m SW down the Taniluya drainage, producing incandescent block avalanches from the lava-flow fronts. Explosions during 17-18 December produced ash plumes that rose 400 m and drifted 7 km W and SW. Incandescence emanated 150 m above the crater. Blocks from lava-flow fronts in the Taniluya drainage rolled down the flanks, reaching vegetated areas. ’12) KARYMSKY – Eastern Kamchatka, Russia: KVERT reported that weak-to-moderate seismic activity at Karymsky was detected during 7-14 December. Seismic data indicated that ash plumes possibly rose to an altitude of 3 km (9,800 ft) on 12 December. Satellite imagery showed a thermal anomaly on the volcano on 9 and 12-13 December. The Aviation Color Code remained at Orange. Pictured above, the Karymsky volcano eruption of Oct. 15, 2012. 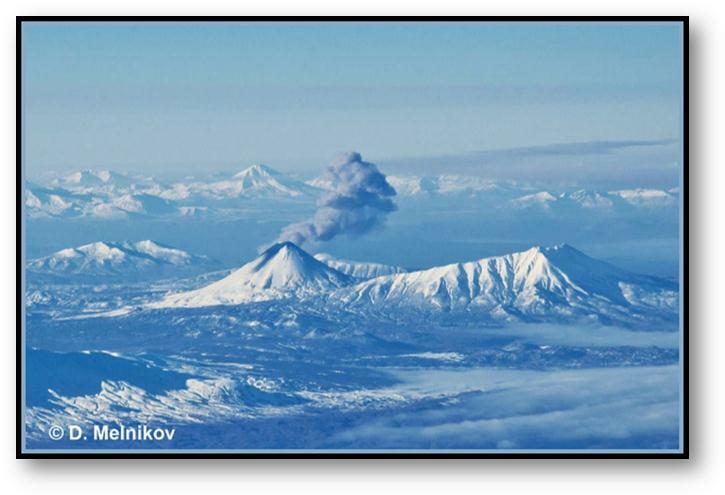 ’13) KIZIMEN – Eastern Kamchatka, Russia: KVERT reported that seismic activity at Kizimen had gradually decreased. Video data showed incandescence from the crater and moderate gas-and-steam activity. Satellite images detected a thermal anomaly over the volcano but the intensity of the anomaly had also gradually decreased. 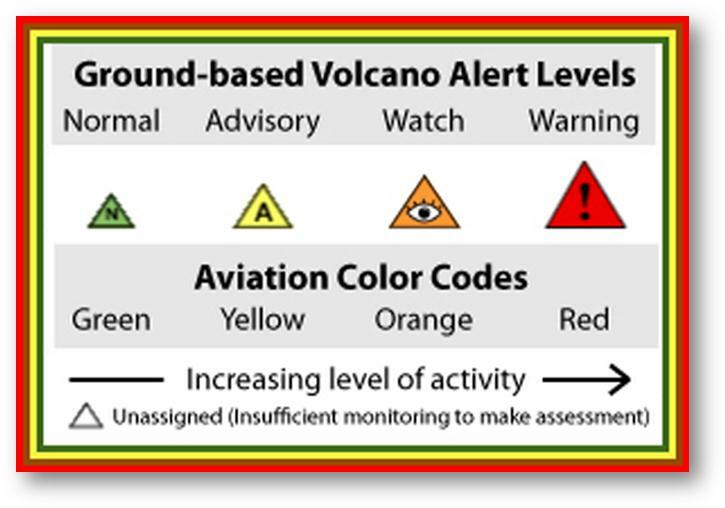 On 12 December the Aviation Color Code was lowered to Yellow. ’14) MANAM – Northeast of New Guainía (Southwest, Pacific): RVO reported that during 8-14 December both diffuse and dense ash plumes rose 400 m above Manam’s Southern Crater and drifted NW. Ejected incandescent tephra was observed at night, and small volumes of lava continued to flow from two vents located on the upper slopes of the SE valley. White vapor plumes rose from Main Crater during the reporting period. ’15) MAYON – Luzon, Philippines: PHIVOLCS reported that since the Alert Level for Mayon was lowered to 1 on 2 March, seismicity decreased, and ground and tilt monitoring data suggested regional faulting and not magmatic intrusion. Steaming from the crater was diffuse and crater incandescence had ceased in March. Sulfur dioxide emissions had decreased to below baseline levels. On 27 November the Alert Level was lowered to 0 and the public was reminded not to enter the 6-km-radius Permanent Danger Zone (PDZ). ’16) PALUWEH – Lesser Sunda Islands, Indonesia: Based on analyses of satellite imagery and wind data, the Darwin VAAC reported that during 14-15 December ash plumes from Paluweh rose to an altitude of 3 km (10,000 ft) and drifted 35-65 km NW and W. On 17 December an ash plume rose to an altitude of 1.5 km (5,000 ft) and drifted 55 km E. The next day an ash plume drifted 55 km E at altitudes of 3.4-3.7 km (11,000-12,000 ft). ’17) POPOCATEPETL – Mexico: CENAPRED reported that during 12-18 December seismicity at Popocatépetl indicated continuing gas-and-steam emissions that contained minor amounts of ash. Variable incandescence from the crater was observed most nights. During 13-15 December gas-and-steam plumes rose at most 1 km above the crater and drifted NE, E, and SE. On 17 December ejected incandescent tephra landed 500 m away from the crater on the NE flank. The Alert Level remained at Yellow, Phase Two. ’18) SAKURA-JIMA – Kyushu, Japan: JMA reported that during 10-14 December explosions from Sakura-jima’s Showa Crater ejected tephra as far as 1.8 km from the crater. Very small eruptions occurred at Minami-dake Crater periodically. Based on information from JMA, the Tokyo VAAC reported that explosions during 12-18 December often produced plumes that rose to altitudes of 1.5-2.4 km (5,000-8,000 ft) and drifted N, NE, E, and SE. Pilots reported that ash plumes rose to an altitude of 2.1 km (7,000 ft) on 13 and 16 December. Sakura-jima, one of Japan’s most active volcanoes, is a post-caldera cone of the Aira caldera at the northern half of Kagoshima Bay. Eruption of the voluminous Ito pyroclastic flow was associated with the formation of the 17 x 23-km-wide Aira caldera about 22,000 years ago. The construction of Sakura-jima began about 13,000 years ago and built an island that was finally joined to the Osumi Peninsula during the major explosive and effusive eruption of 1914. Activity at the Kita-dake summit cone ended about 4,850 years ago, after which eruptions took place at Minami-dake. Frequent historical eruptions, recorded since the 8th century, have deposited ash on Kagoshima, one of Kyushu’s largest cities, located across Kagoshima Bay only 8 km from the summit. The largest historical eruption took place during 1471-76. ’19) SANTA MARIA – Guatemala: INSIVUMEH reported that during 12-13 December incandescence from Santa María’s Santiaguito lava-dome complex was visible and lava flows were active on the flanks. During 13-14 December avalanches were produced from the fronts of lava flows on the SE flank. Ash plumes that rose from the avalanches drifted 10 km S, producing ashfall in La Florida (5 km S) and El Faro (SW flank). During 15-18 December incandescence emanated from the SW part of the lava dome. Avalanches were again produced from the fronts of lava flows on the SE flank. Ash plumes from the avalanches drifted 8 km during 15-16 December. Symmetrical, forest-covered Santa María volcano is one of a chain of large stratovolcanoes that rises dramatically above the Pacific coastal plain of Guatemala. The stratovolcano has a sharp-topped, conical profile that is cut on the SW flank by a large, 1-km-wide crater, which formed during a catastrophic eruption in 1902 and extends from just below the summit to the lower flank. The renowned Plinian eruption of 1902 followed a long repose period and devastated much of SW Guatemala. The large dacitic Santiaguito lava-dome complex has been growing at the base of the 1902 crater since 1922. Compound dome growth at Santiaguito has occurred episodically from four westward-younging vents, accompanied by almost continuous minor explosions and periodic lava extrusion, larger explosions, pyroclastic flows, and lahars. ’20) SHIVELUCH – Central Kamchatka, Russia: Based on visual observations and analyses of satellite data, KVERT reported that during 7-14 December a viscous lava flow continued to effuse on the NW flank of Shiveluch’s lava dome, accompanied by hot avalanches, incandescence, and fumarolic activity. Satellite imagery showed a daily thermal anomaly on the lava dome. The Aviation Color Code remained at Orange. This entry was posted in Ecuador, Events, Indonesia, Japan, Mexico, Misc, Miscellaneous, Nature, News, Russia, Volcanoes and tagged Global Active volcanoes - December 26 2012. Bookmark the permalink.